Well today is a super exciting day!! 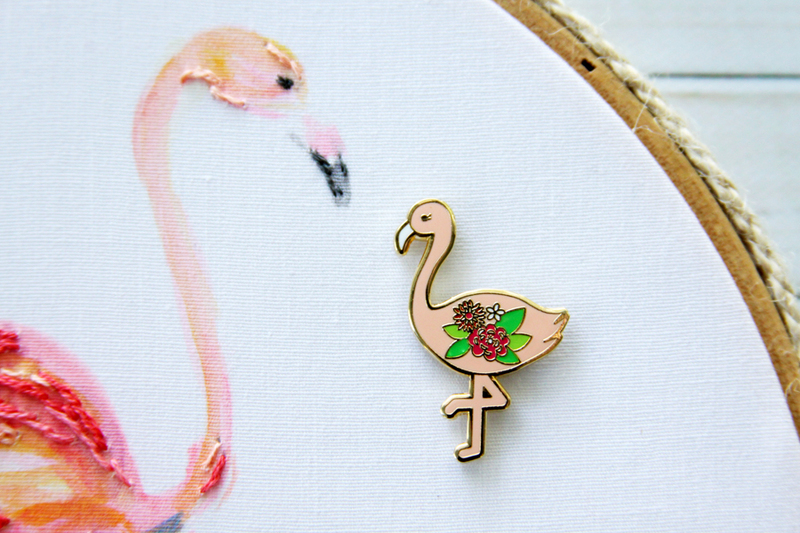 I have two fun new additions to my shop and I’m super excited about both of them! 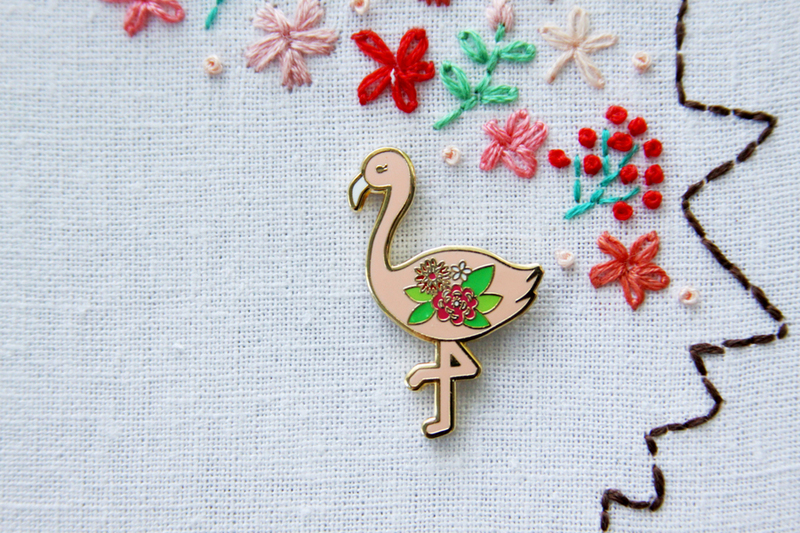 The first new item in the shop is this adorable Flossie the Flamingo Needle Minder! 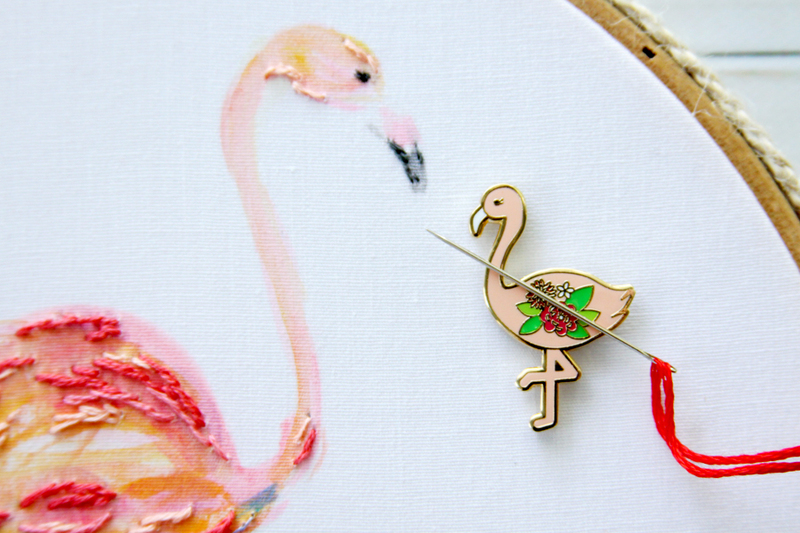 Flossie is a cute little flamingo that will add some fun flair to your needlework tools! 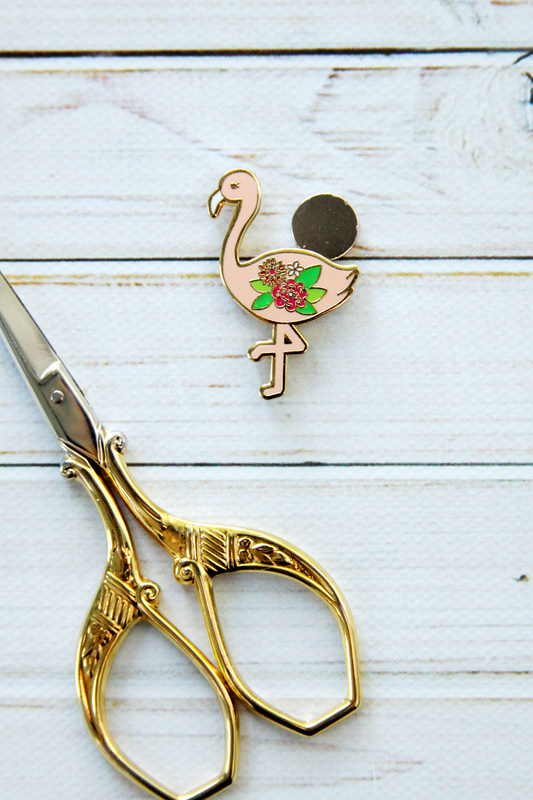 She has a super strong magnet set – one is attached to the back side of the flamingo and the other is removable so you can put it on the back side of your work. The magnet stays in place really well, even if you move the stitchery around! 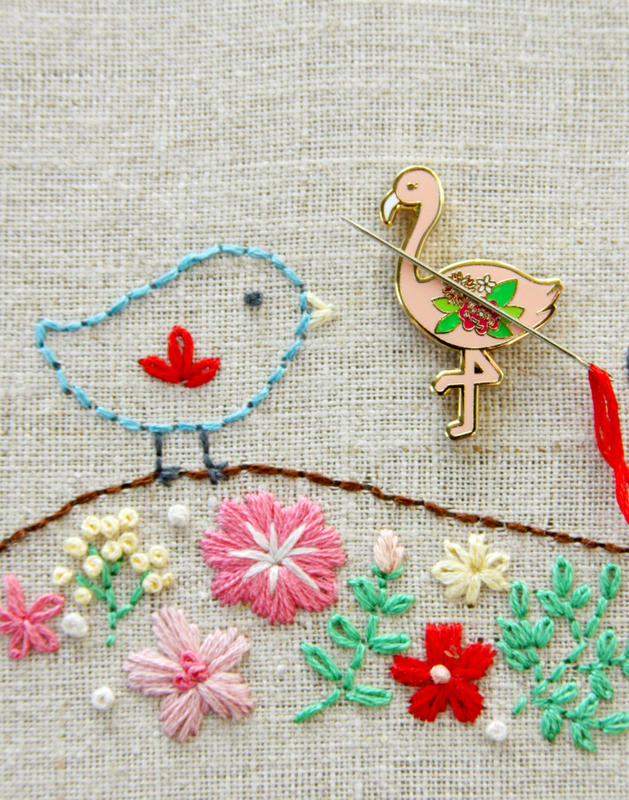 The needle minder is 1 1/4″ tall so it will work great with large or small projects. Just place the needle on top and don’t worry about it! I’ve been working on this needle minder for a few months now and I’m so happy with how she turned out. I did a limited run for the first one so if you are interested I’d recommend picking it up quickly! 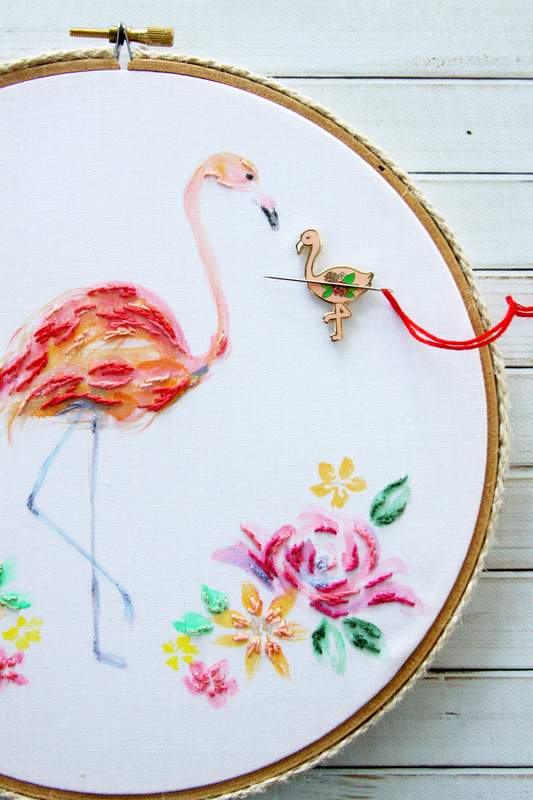 These would be such fun gifts for stitching friends too! 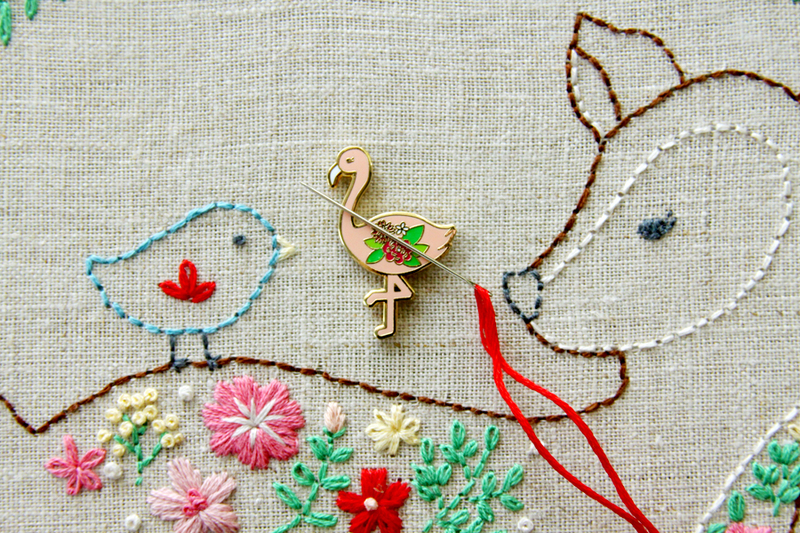 You can find Flossie in my Etsy Shop Here or Here! I have several more needle minders in the plans as well so be on the look out for those soon! 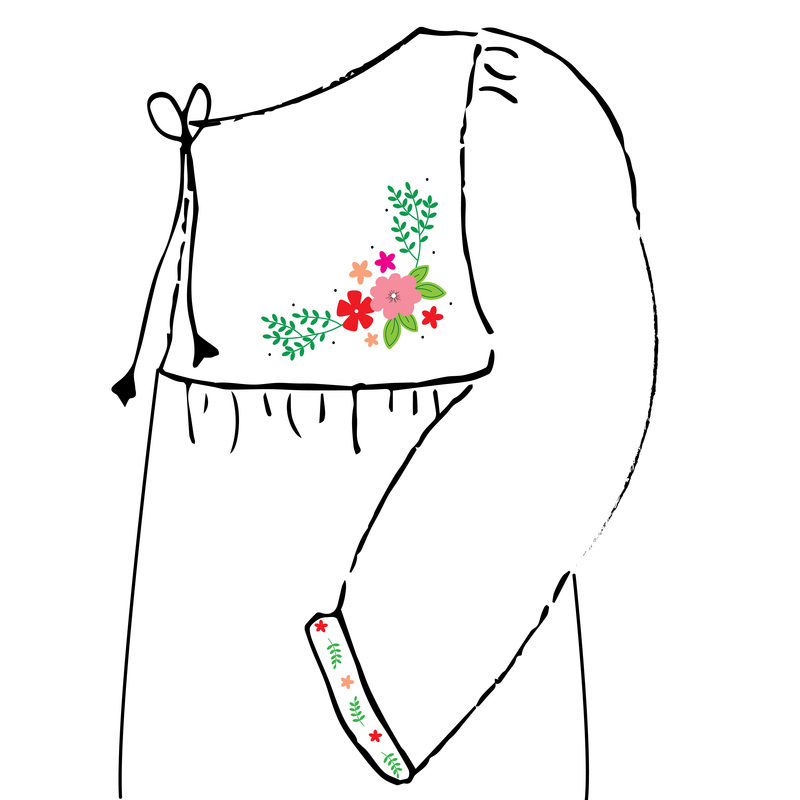 The next new item in the shop is a fun new Embroidery Pattern! 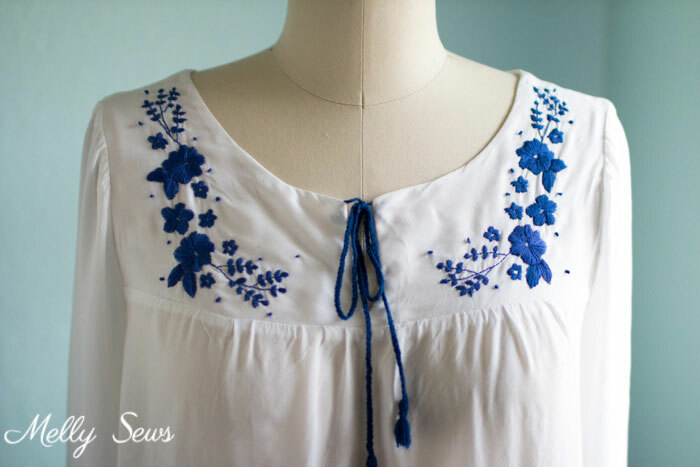 For the last couple of months I’ve been working with Melissa of Melly Sews and Blank Slate Patterns on some embroidery designs to go with her new Valetta Top! 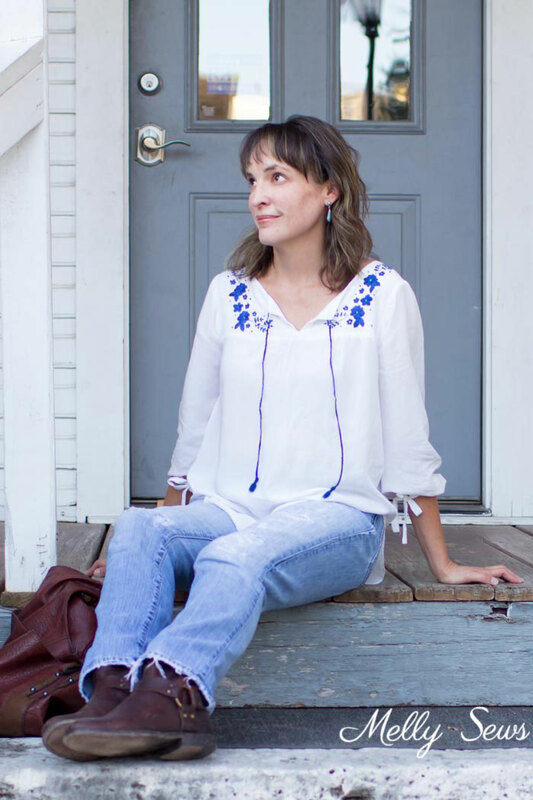 This cute peasant style top is designed with a yoke front and can be made with 3/4 sleeves or as a sleeveless version. 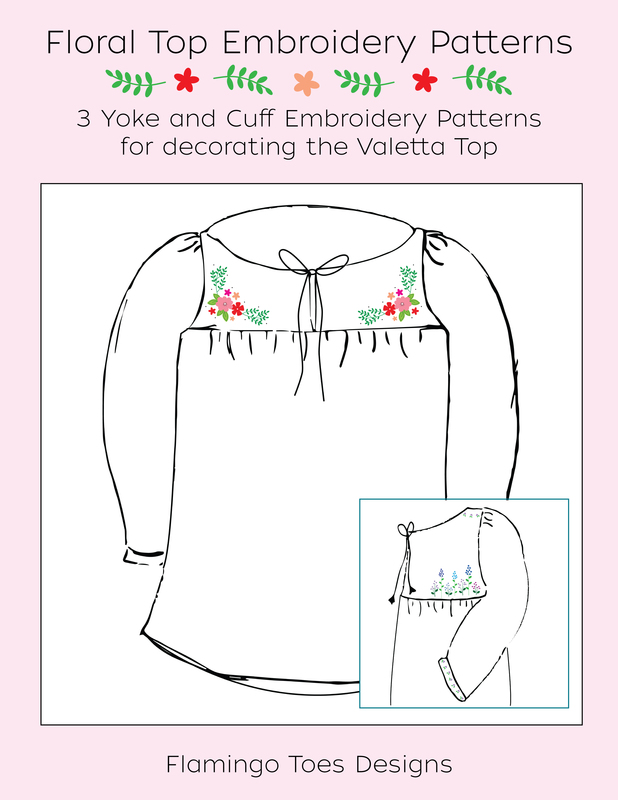 I designed three embroidery patterns to coordinate with the top and I love how fun they look! 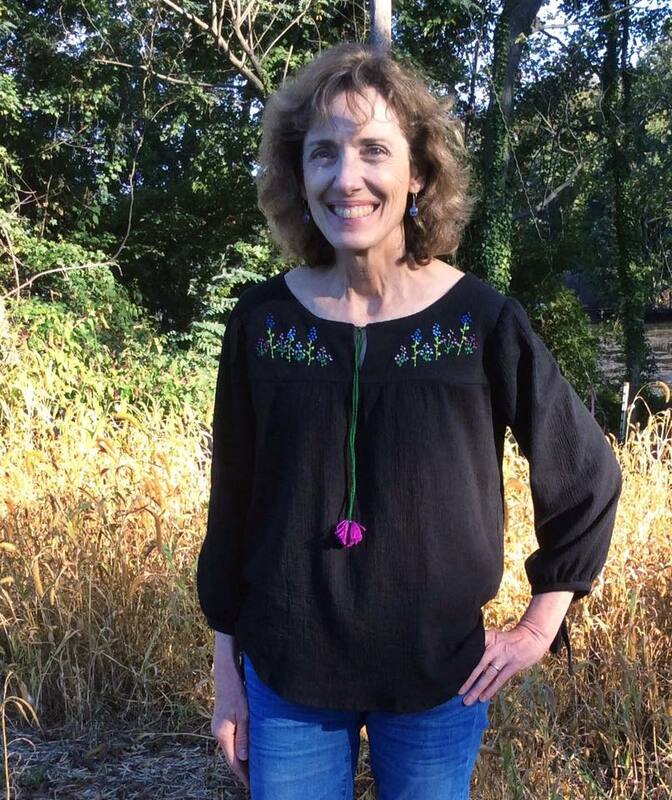 Melissa stitched up the Solid Color Floral Design on her first top – it looks so pretty on the white fabric she used! There is also a Floral Bouquet design that is so fun for a variety of colors. 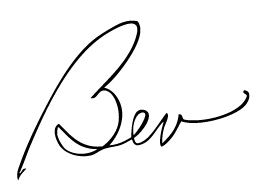 All three designs some with a cute pattern to use on the binding for the sleeve as well. The pattern includes all three designs – the floral bouquet, the solid florals and the fields of flowers. You can use them on any project of course, but they look so fabulous on the Valetta top! Pick up the Valetta top here at Blank Slate Patterns. You can find the Embroidery PDF pattern in my shop! I’m so excited about these new additions in the shop! I hope you like them too! you do a fantastic job love your work.